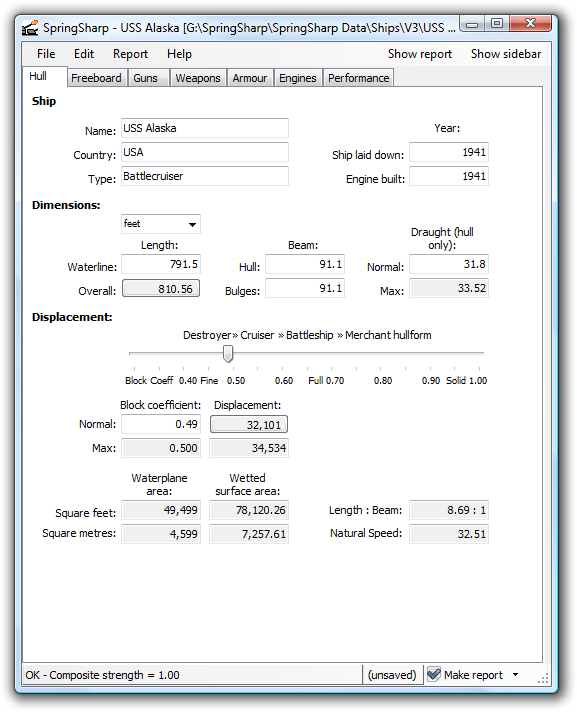 The Hull page is neater and more logical. You can choose to enter the overall length and work back to the waterline length or the other round. You do not need to calculate the maximum underwater length. Maximum Draught, Block Coefficient and Displacement are displayed on this page. These assume minimal impact from the flare or tumblehome of the hull on the estimated waterplane area.